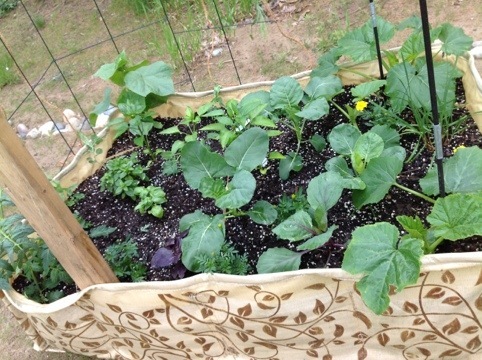 It’s just after Memorial Day weekend, and in the Saratoga- Lake George gardening region of the world, that means vegetable gardening installation. 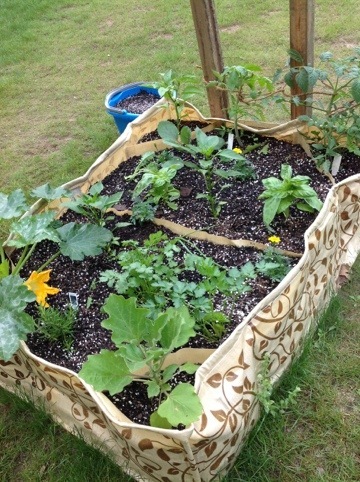 Edible gardens are so trendy nowadays as people are more conscious of healthy eating and interested in organic produce. Some of my clients want raised beds; I’ve been buying moveable raised beds called”Little Acres” for them. These are great products, as shown in the photos. They allow companion planting to occur when plant design layout is thoughtful and informed. We also get full decision making power in soil content (as is the great advantage with any raised bed.) We have filled these beds with a disproportionate mixture of high quality “Fox Farm” brand organic soil, composted cow manure and humus. Our plants are only going to be as healthy as our soil, and the soil needs to be just as alive as we are. The Little Acres are especially a good fit in Saratoga gardens, because this region is nothing but sandy soil, which is terrible for growing vegetable gardens. Vegetables are heavy feeders- they need nutrients that only a rich organic soil or humus can offer. We don’t get any fresher food than harvesting it from our backyard. When eaten within hours of being picked, food is medicine. Food is food up to 3 days after harvest. After this, it is filler, light on healthy benefits or vitamins. 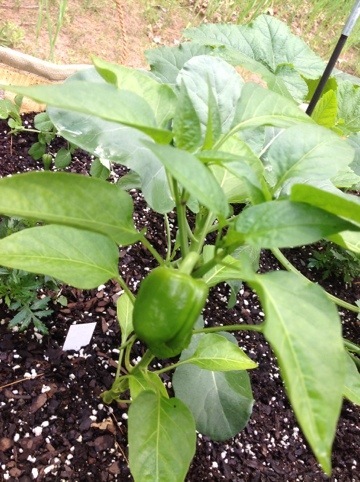 Also, growing our own food in an edible garden is just fun. 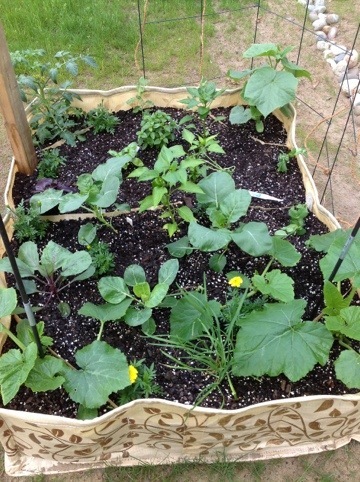 Lots of homeowners in Saratoga and Lake George are becoming more willing to consider growing their own food in their home gardens. This is a fabulous trend; it is empowering to realize what we can do for ourselves.